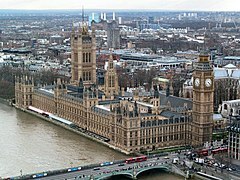 Is baile é Westminster (Iarmhainistir go litriúil nó San/Naomh Stíofán mar fhoirm Ghaeilge ar an ainm Breatanach dó San Steffan) atá suite in iarthar Londan. Tá sé i gCathair Westminster. Tugadh an leathanach seo cothrom le dáta an 18 Samhain 2017 ag 13:19.